These are some of the amazing people who made the products we feature in our shop! If they have a website, you can learn more about them by clicking on their name. Pop into the shop to see the treasures created by these artists. 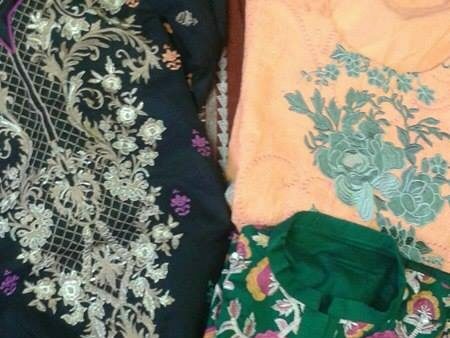 Shahana is a master chikkan embroiderer from Lucknow, India. She worked for years learning the craft and has now branched out to running her own business and supports her family through her work. She does all the chikkan embroidery that we feature in the shop. 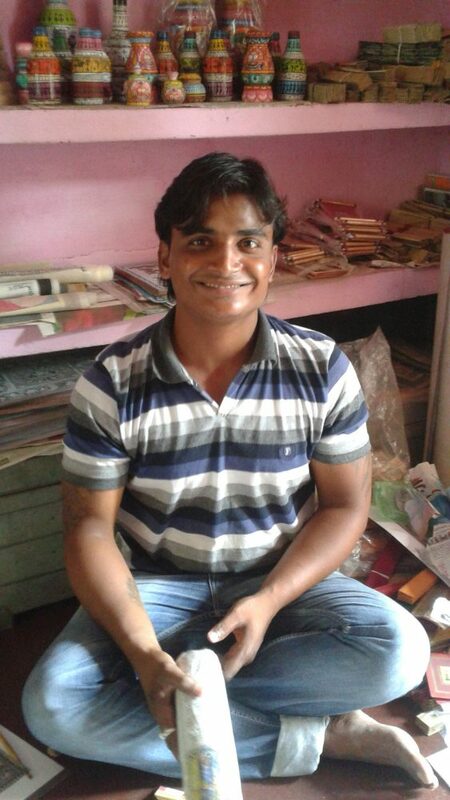 Kapil works with recycled materials in Lucknow, Uttar Pradesh. 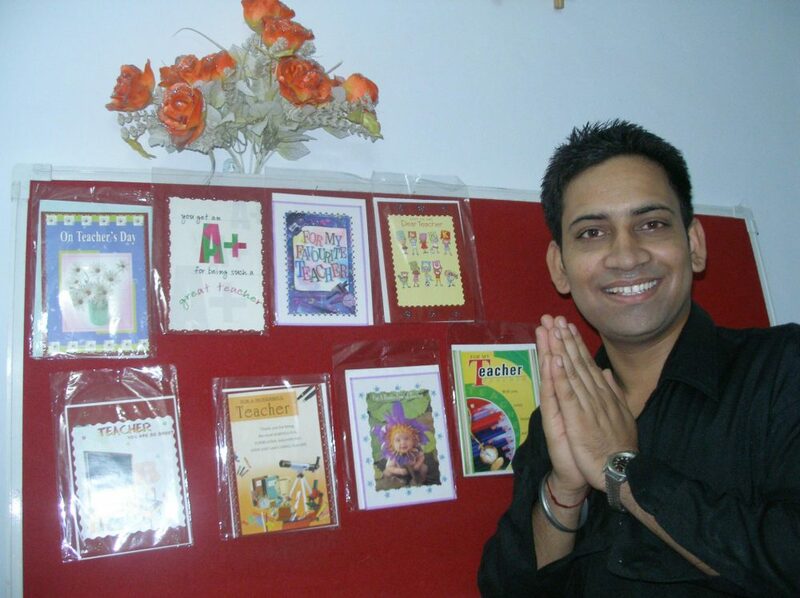 Kapil likes to find new ways to use things that are normally thrown away. You can find his handmade cards, gift/money envelopes, and bowls in the shop. 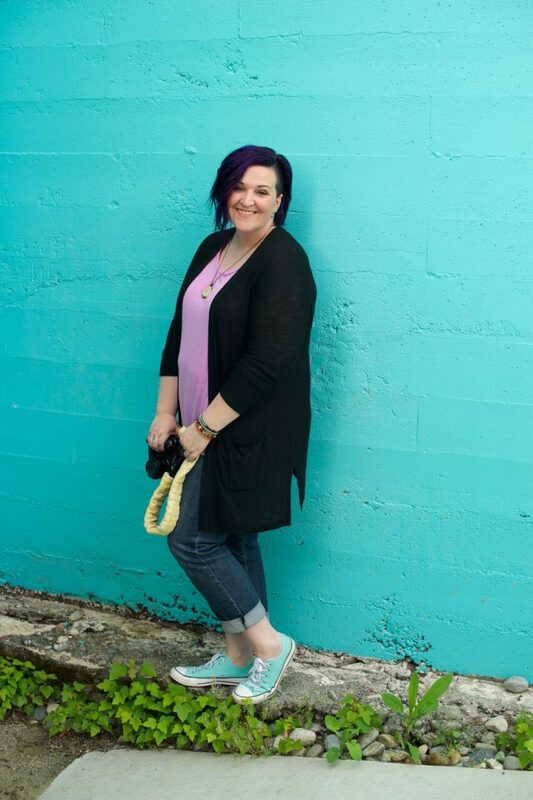 Dana is the beauty and brains behind Urban Utopia Photography, whose photos are featured throughout our website, our shop, and our social media. Dana is not only an amazing photographer, but is an amazing person who will bring out the best in you and yours no matter the occasion! 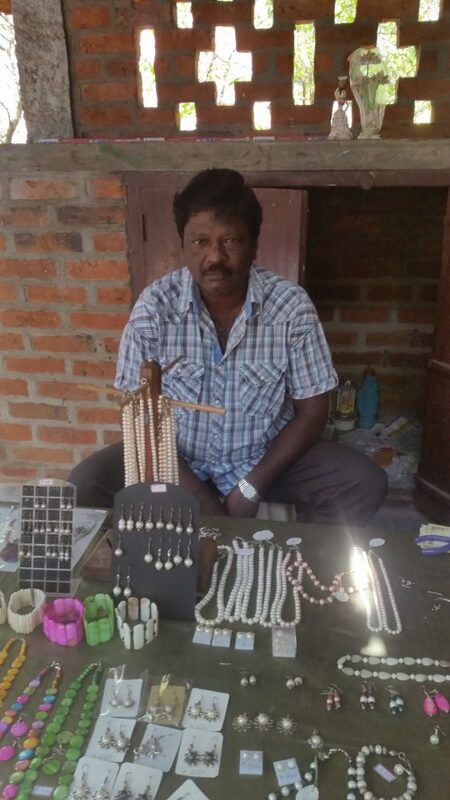 Morhis makes pearl and shell jewelry in his fishing village on the edge of Chennai. His family have been involved in fishing for as far back as they can collectively remember. 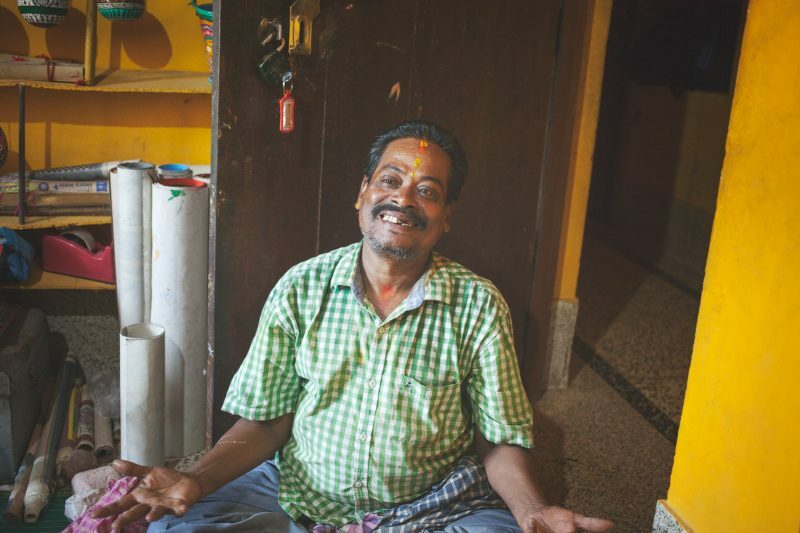 He uses the same string in his jewelry which his family uses to repair their fishing nets. The shell jewelry is made from the large shells they find in the area. There are three layers to the shells, and he also does carvings to reveal the different colored layers. But the jewelry is all made of the inner layer with some pieces dyed in bright fun colors. You can find some of his beautiful shell jewelry in the shop! Sachi is a master miniature painting artist. He paints on handmade paper using naturally pigmented paints and brushes made from a variety of materials including a single squirrel hair for the highest level of precision that can only be seen with a magnifying glass. Find his lovely elephants in the shop! Salma is an Afghani refugee living in New Delhi. 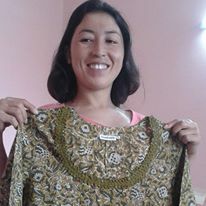 She creates beautiful crochet and stitching to earn an income while learning English and yoga and waiting for a final resettlement. She had to flee in the middle of the night from Kabul due to her work for women’s rights in Afghanistan. You can find rose bookmarks, embellished tops, and Christmas ornaments in our shop. 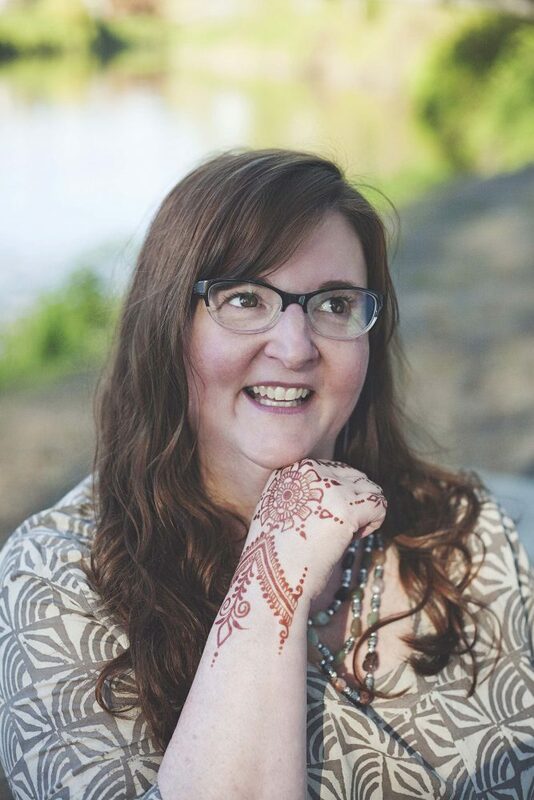 Sarah is one of the premier henna artists in the Seattle area, and we are so pleased to have her work out of our shop! We also sell her henna kits and supplies, and feature her drop in sessions at least once a month. Varun handepainted the beautiful Tree of Life pictures featured in our shop. He is trained in a variety of painting techniques, but the detail work and picking the colors is his favorite part. 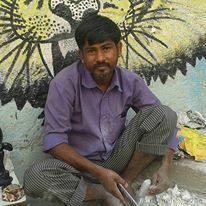 Puraram is a stone carver from Udaipur, Rajahstan. He carves soapstone and marble into lovely Ganesha, elephants and other figures. Some of them he rubs with an oil to make them black. Kadriye and her family have been creating crochet jewelry for generations, learning at the knees of their mothers and grandmothers. It takes her an average of one day to create an average necklace – more for the elaborate pieces. 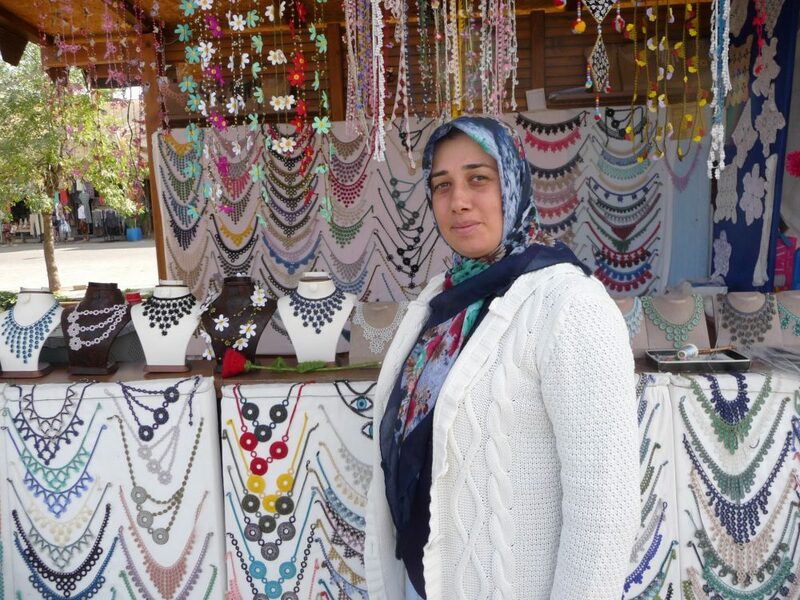 You can find necklaces, bracelets, anklets, and earrings by Kadriye and her family in the shop. Jayme is a graduate of Cornish College of the Arts with a focus on sculpture, photography, and painting. Her passion lies in public art, community development, and education. Jayme created the mural which features in our shop! 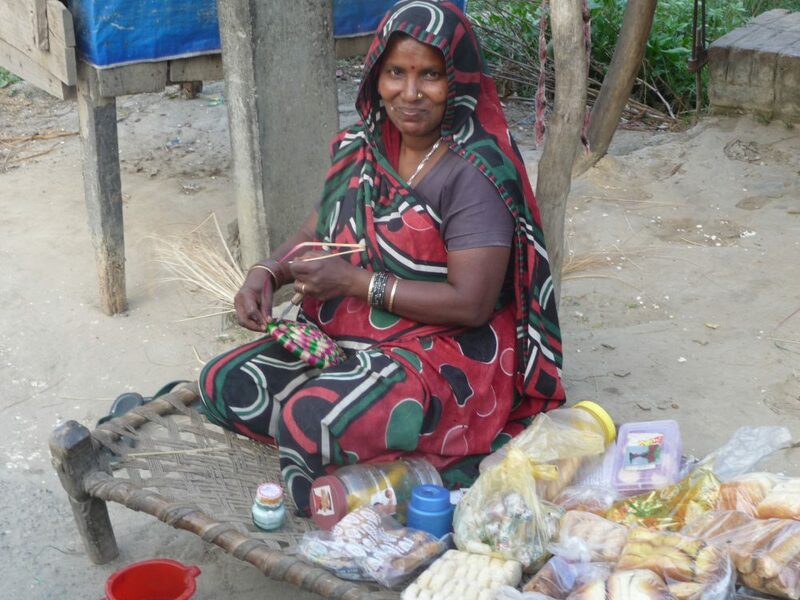 Lalitha and her family make beautiful, bright baskets and woven goods in Chennai. They start by collecting palm fronds and drying them. Some sections are then dyed with natural floral extracts to produce the bright colors. They then weave the sections, cut into various widths, to make the various items. The baskets are not only pretty, but durable, 100% natural, and useful! Sadaf is originally from Pakistan and learned embroidery from her mother. Now that she is living in the US, she is glad to share her beautiful work! 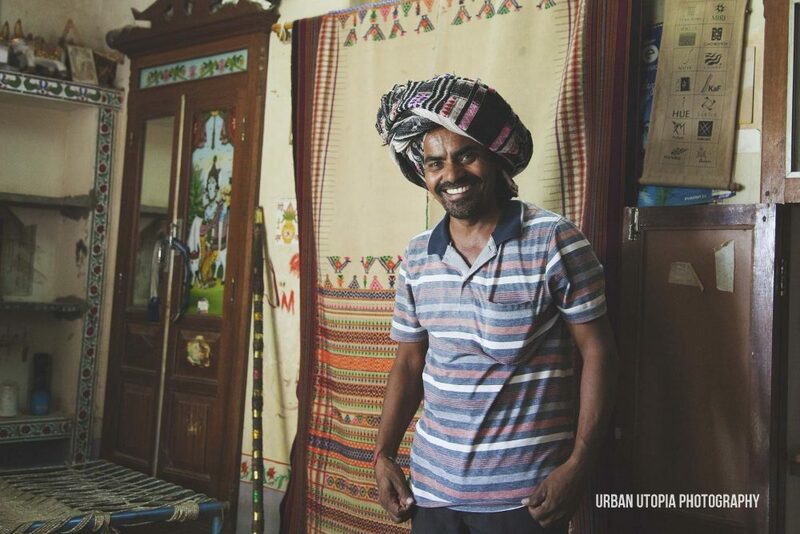 Ramji is a traditional weaver near Bhuj. He works primarily with cotton, which he spins in house. He not only weaves each scarf by hand, but he also weaves in an almost embroidered design into the scarf as he goes. Each scarf can take 3-4 days to complete, depending on how elaborate the embroidered weaving design he chooses. 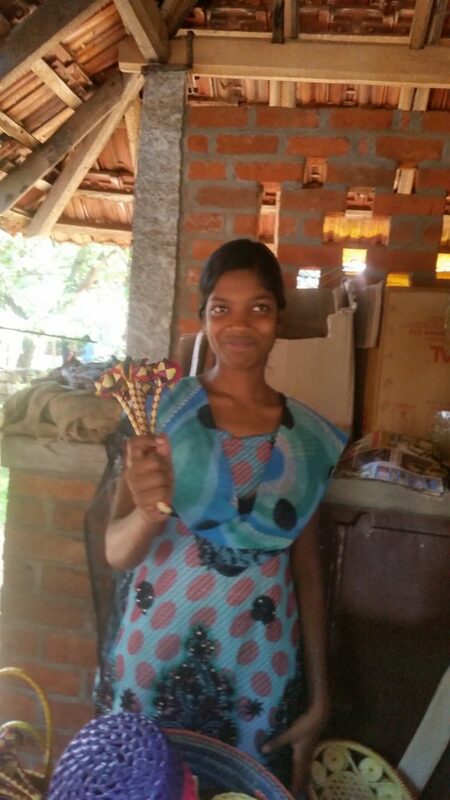 Sihad has been basket weaving as long as she can remember. She has always made them to use around the house – as water jug lids, vegetable storage, or to keep chapatis warm at the table. Sihad is thrilled to sell her baskets in our shop as it provides extra income to send her children to school and to be a bit more financially independent. 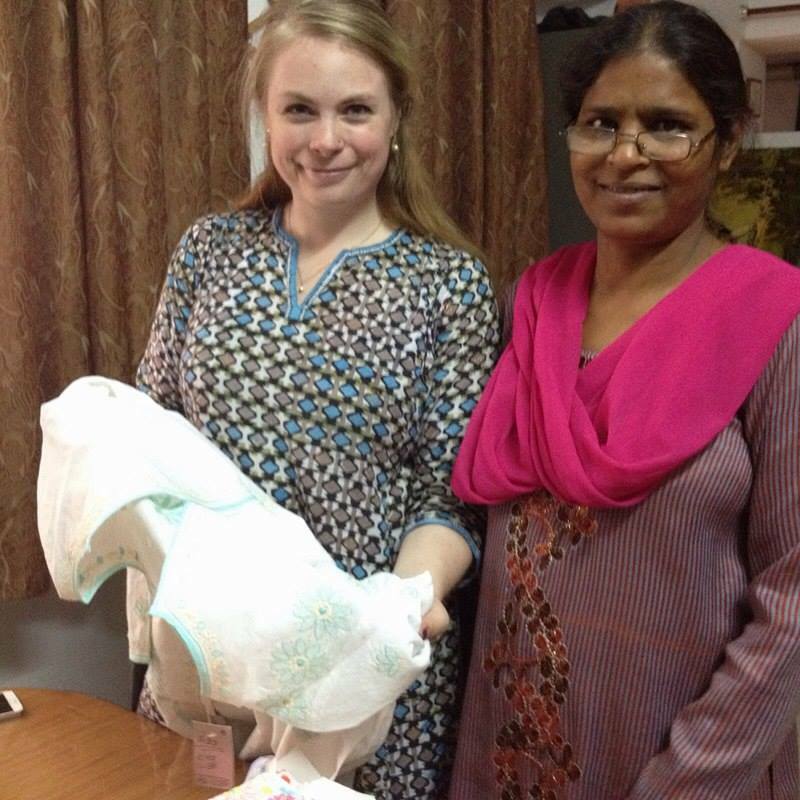 Zeenat and her family were originally from Rajasthan, but have lived in Chennai for many years. 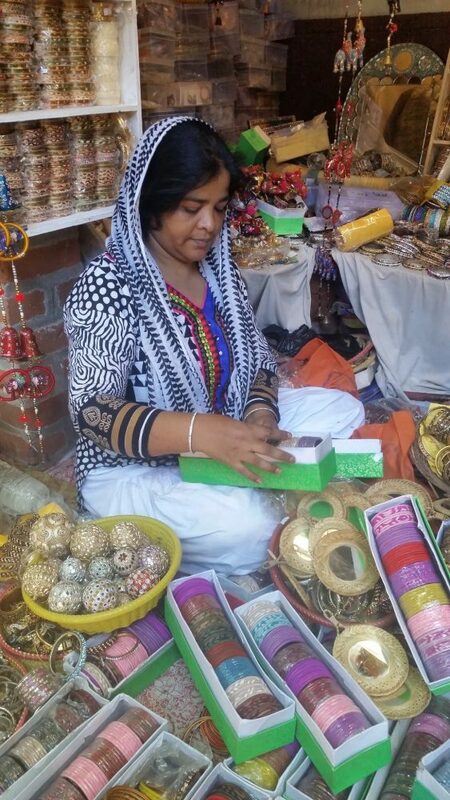 She makes the lac bangles as well as notebooks, earrings, and other small things. Lac is a type of resin which is collected, melted, and dyed in various colors (and glitter can be added as well for extra sparkle!). It is then applied to the base item, such as the bangles and the notebooks. On the bangles, she then swirls in a second color for some contrast. On the notebooks she presses in little pieces of mirror and plastic flowers to create designs. Once it is dry, they are ready to use! Meet Kalu! 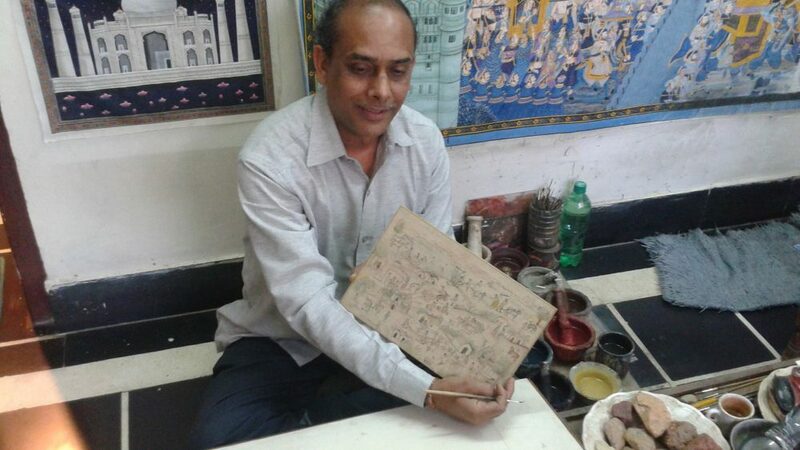 He’s been a master Pattachitra painter for years, and still practices his art by making his own canvas from old cotton saris, tamarind glue, and chalk. He also uses natural pigments in his paints. With the five base colors (blue, yellow, red, brown, and white) he can make one hundred and twenty different shades!